A full service car wash does more than just keep a vehicle dirt free. It is true that a car wash can give a vehicle a quick facelift. However, a full service car wash can also help keep a car ‘healthy’ over time. Rust is a chemical compound that can cause corrosion to a vehicle if not properly handled. Rust occurs when three things are present: iron, oxygen and water. When water hits iron, it breaks the iron down into two parts: water and oxygen. The free formed oxygen then dissolves into the iron—causing what is known as rust. Rust is a substance that can be extremely harmful to a car, both internally and externally. Anywhere iron and water are present, rust can be present. A vehicle’s paint is supposed to help protect it from UV damage, scratches, and other cosmetic issues. However, if a vehicle is dirty, the elements that combine with dirt can wear down the protective covering, making it vulnerable to rust. Rust is harmful because it can cause important functions of a vehicle to break down slowly. Rust can also make a car look old and worn. Finally, it can damage a vehicle’s frame and engine—and potentially cause costly repairs. That’s where the importance of applying a rust inhibitor becomes evident. Another dangerous component of rust is how fast it develops. If rust is not removed and the car is not taken care of, rust can rapidly increase across the vehicle. That’s where the importance of a car wash as well as the application of a rust inhibitor (both on and under your car) becomes evident. A full service car wash can help to reduce the risk of rust on exterior surfaces as it can properly remove key elements that lead to rust. The car wash can also help renew the protective coating on the paint. As previously noted, the underbody of your car is not exempt of the threat of rust. It is equally susceptible to rust and needs protection as well. Having a professional apply an Under Body Rust inhibitor (a sealant applied to the clean underside of a vehicle) helps to reduce costly damage to the frame, drive train, engine and other important parts of a car’s mechanics. Mr. Clean Car Wash includes Underbody Rust Inhibitor in their Signature Shine Full Service Car Wash package. 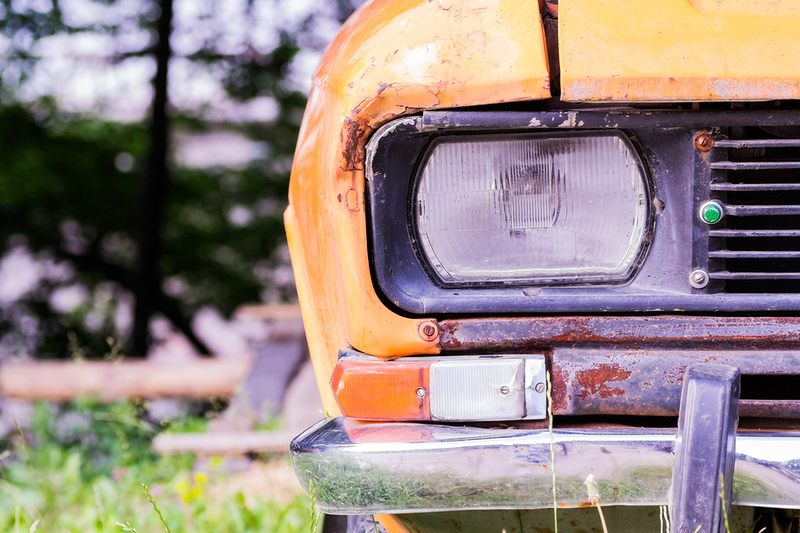 Don’t let rust impact the longevity of a vehicle. Come to Mr. Clean Car Wash for a full service wash and Under Body Rust inhibitor application. Right now get $5 off a Signature Shine and protect against further damage.